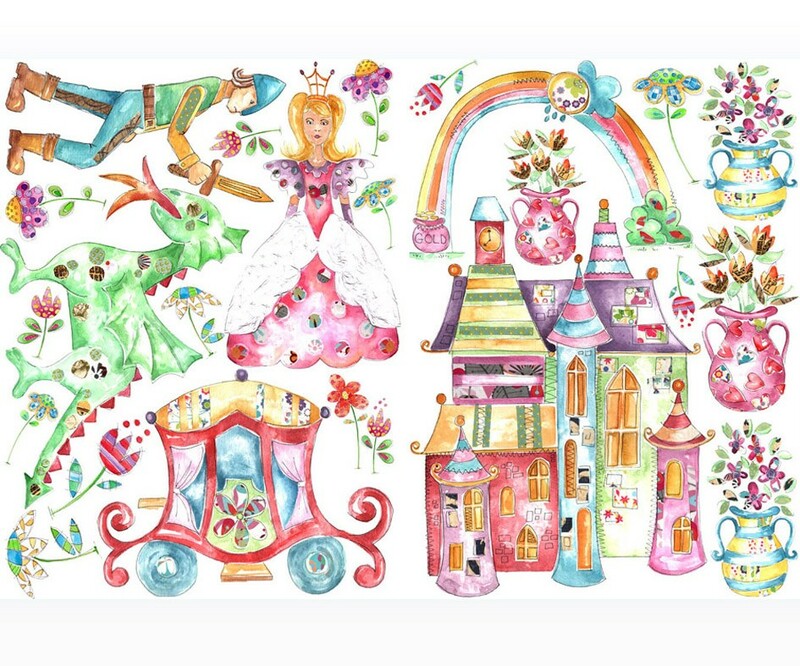 All girls dream of being a princess and these wall stickers for kids which include a castle, a princess, a prince, a dragon, a carriage, a rainbow and flowers will add a magical feel to their bedroom. The children's stickers can be applied to any flat surface and can be removed and repositioned easily and without leaving any marks. Large princess sticker is approx. 19cm in height. Large castle sticker is approx. 24cm in height.